Candidate should have passed the B.Sc Chemistry. Master of Science in Medicinal Chemistry (M.Sc.Medicinal Chemistry) is a two years postgraduate chemistry degree course in India. The study is designed to explore the links between disease, mechanism of action and the development of safe, effective commercial drugs. The aim of study program is to provide advanced knowledge in modern synthetic chemistry with related areas of significance in the drug design, discovery, and development process. The medicinal study provides important knowledge about biological health related problem through application of fundamental principles of organic chemistry, biochemistry, natural products chemistry and molecular pharmacology. Medicinal course emphasis on the research methodology in varieties of dynamic areas of interest including drugs, discovery, organic synthesis, and natural product chemistry to enhance and extend knowledge and skills of candidates in the application of chemical principles to medicinal and pharmaceutical problems. 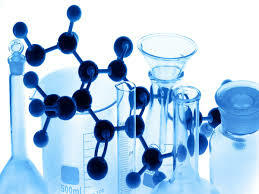 Fundamentals of Quantitative Analysis and Separation Methods, Stereochemistry & Therme Analytical Method, Electro Analytical Methods of analysis, Environmental Biotechnology, Computer in Chemistry Analysis, Pharmaceutical Analysis, Principal of Drug Development, Clinical Research, Concepts of Industrial Management and Intellectual property Rights. The candidate has to complete Bachelor’s Degree like Bachelor of Science (B.Sc), or any other Bachelor’s Degree with relevant subjects such as Chemistry, or equivalent examination, with minimum aggregate 55% marks, such candidates are eligible to take admission in M.Sc.Medicinal Chemistry professional study program. The master’s study requires 2 years of the time period with an internship in India, It’s a Full Time professional degree course. The course is not available for part-time and under distance education mode as it's a practical based study. After the successful completion of the Master’s study program, one can have excellent career opportunities in the field of Medicinal Chemistry, in Private and Public sector Colleges and Universities. The Master degree holder recognized as Biochemist / Chromatography, and able to work as Clinical Research Associate, Professor, Lecturer, Microbiologist, Production Chemist, Quality Control Manager, Clinical Data Analyst, Senior Pharmacovigilance Associate, etc. This page was last modified on 21 January 2016 at 12:01.